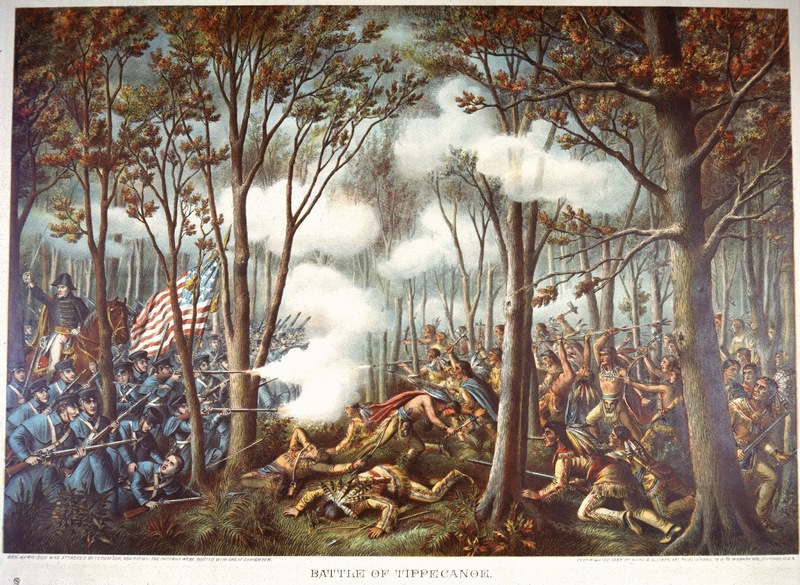 The most defining chapter of my childhood is The Battle of Tippecanoe and most especially The Prophet. Someday I hope to be able to write about the "who, what, where, when, why and how" the Battle and The Prophet helped shape my entire life. However, for the purposes of this short story today, simply accept the above at face value and let's move on. The 1830 painting of Tenskwatawa (AKA: The Prophet) above by famed legend George Catlin has long been an image burned into my young synapses and carried forward on the wings of my imagination forever. 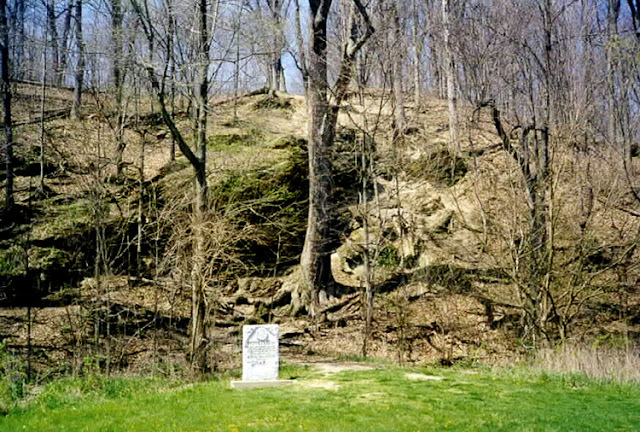 Some of my first memories with my Dad were going to the battlefield and then to see the view above from Prophet's Rock where Tenskwatawa chanted encouragement to the warriors. We combed the field between Prophet's Rock and the battlefield (in the trees on horizon) looking for arrowheads. One day I actually found one and continue to treasure it to this very day. 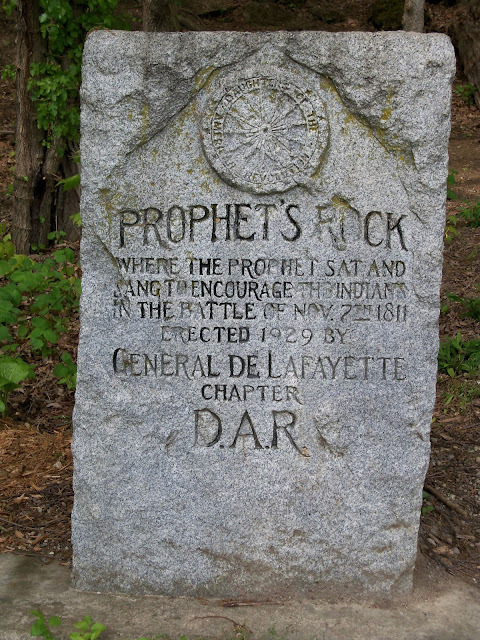 I went to Prophet's Rock from roughly 1951 or 1952 until January of 2012. 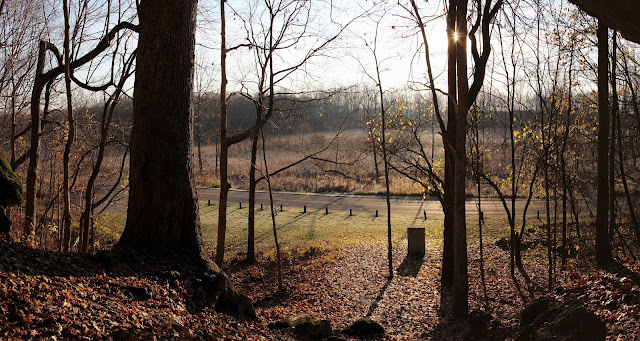 This place was a Life Touchstone for me in ways I will never be able to describe in words. As the years and decades passed, I often wondered whatever happened to The Prophet. How did he spend his life after Tippecanoe? Where did he go? When did he die? Where was he buried? So, how ironic it was today to reconnect with The Prophet through a bridge over wondrous waters. 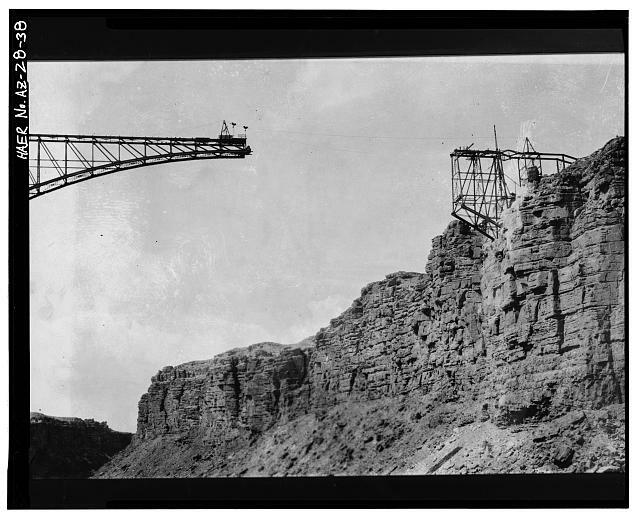 Indeed, you know we recently posted an article about Navajo Bridge over The Colorado River. The dedication of that bridge was a cause for much celebration. 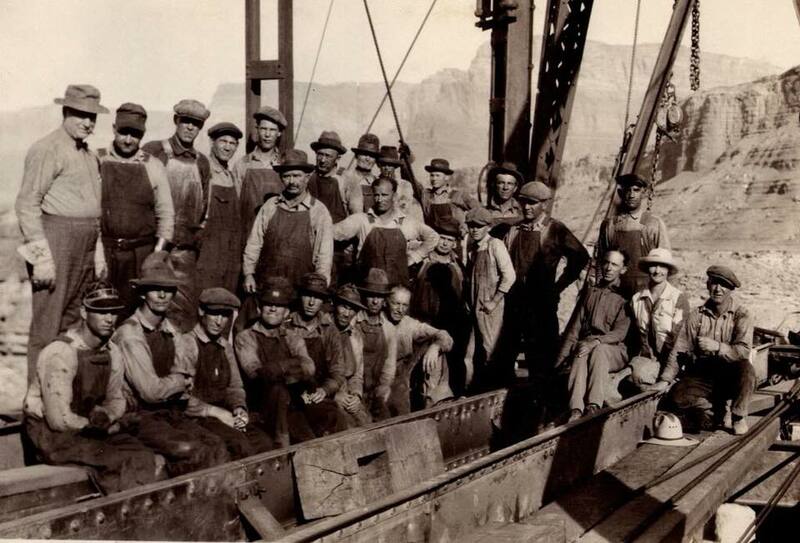 On January 8, 2018, as chance would have it, Patti Allen posted up a photo on the Arizona History Facebook Group of the steel workers who built the bridge in the late 1920's. Her great grand dad Thomas "Rusty" McCurnin is standing at far left. All of these men worked for the Kansas City Structural Steel Company. So, naturally, I became very curious about the KCSS Company and looked up whatever I could find. "The great "Shawnee Prophet" lived with a group of still loyal followers in the last Prophets Town at the mouth of the Whitefeather Spring. This is on the property of Mr. Jack Beemont at 3818 Ruby and the site was recently placed on the National Historic Sites Register. 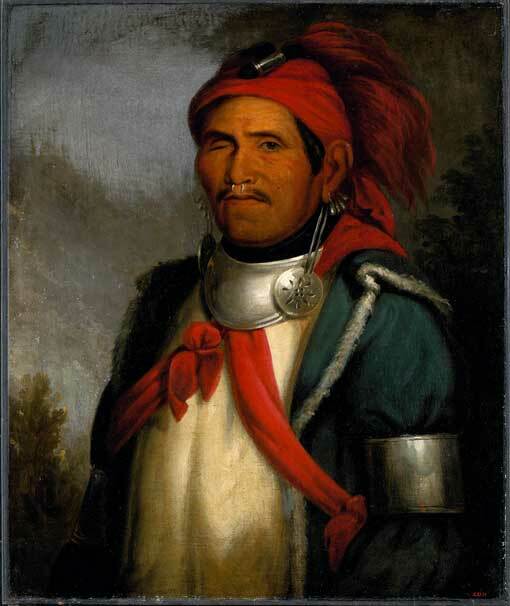 Another Shawnee Indiana of major importance was Charles Bluejacket, a Shawnee Chief and ordained Methodist Minister. He attended the Prophet's funeral and had lived in this area until 1870. 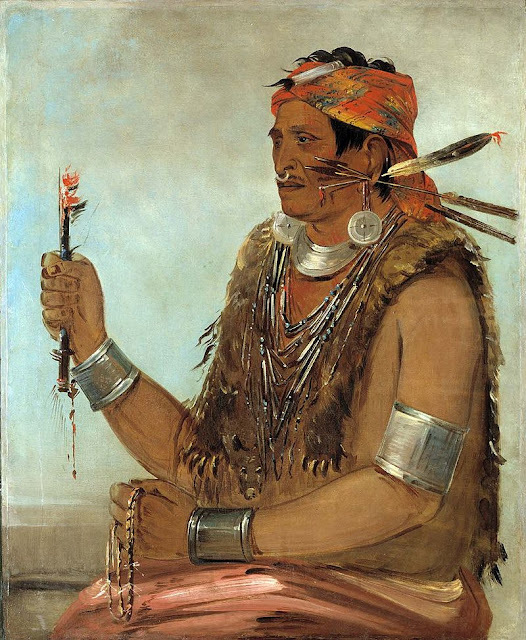 In 1897, he returned from the Oklahoma Reservation and located the Prophet's grave." 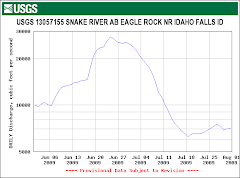 And so, for whatever wild reason, my lifelong interest in The Prophet came full circle today compliments and courtesy of Navajo Bridge vis-s-vis the US 89 Team project. The Prophet's last resting place is quite likely on the very grounds of the Kansas City Structural Steel Company that built Navajo Bridge.